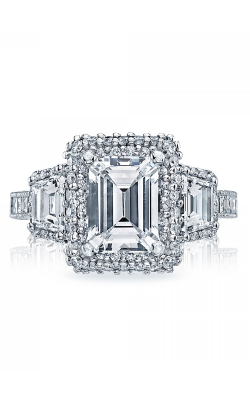 Emerald cut rings are simple and classic styles originally developed for the emerald gemstone. 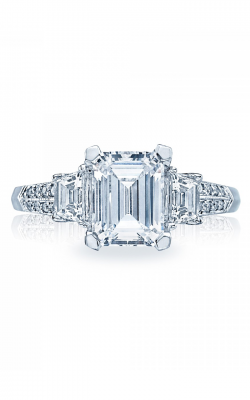 This stone cut has found a newfound popularity among diamond rings. 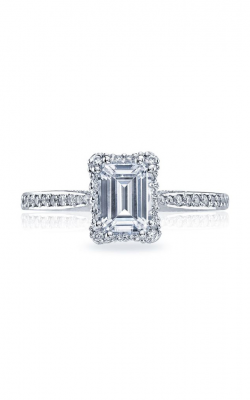 Featuring a clean geometric shape, emerald cut stones are rectangular with slightly cropped corners. To achieve this unique cut, jewelers create steps, or facets, in the underside of the diamond for bright and sustained flashes of light rather than an overall sparkle. 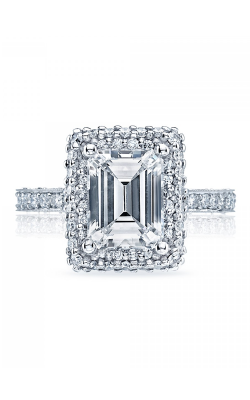 Emerald cut rings complement any bold engagement rings or simple solitaires. It’s signature clipped corners provides even greater reliability, durability, and a stunning kaleidoscope effect than other types of cuts. 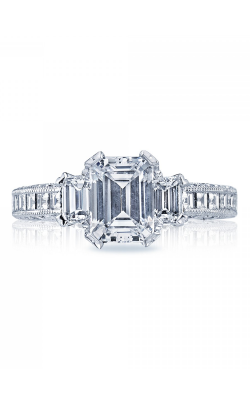 Golden Tree Jewellers has a wide selection of emerald cut rings from top brands including California’s Tacori. 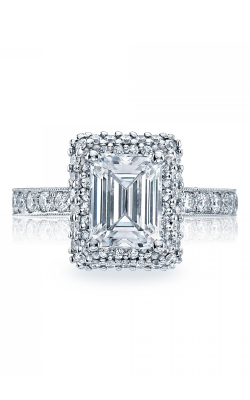 Explore their Blooming Beauties collection featuring two rows of pave set diamonds to enhance your emerald cut stone. For romantics, turn to the Dantela collection featuring lace-like diamond details. 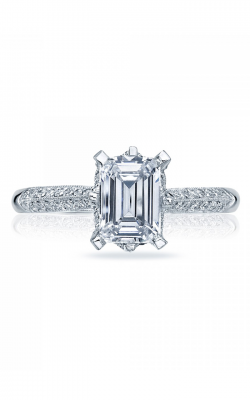 The Tacori Classic Crescent appeals to traditional fashion styles and features diamonds on the inner face of the ring. 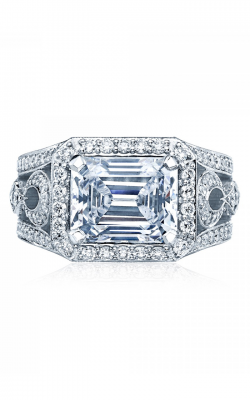 The Tacori Royalt collection features an heirloom design with the signature Tacori silhouette crescent fit for royalty. Golden Tree Jewellers. 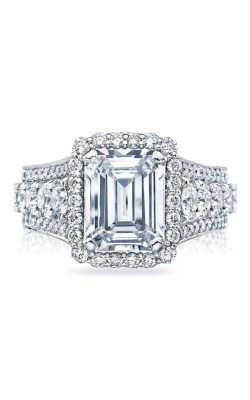 Golden Tree Jewellers is also an authorized dealer of Noam Carver fine bridal jewelry including emerald cut engagement rings. Noam Carver’s Modern collection is the perfect fit for those looking for a high polish ring and minimal details. 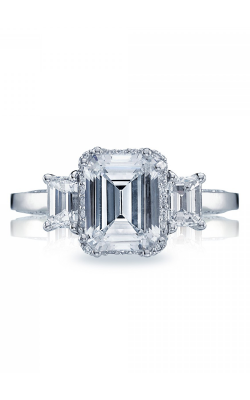 If you’re looking for fire and brilliance in emerald cuts, try Noam Carver’s 3 Stone collections. 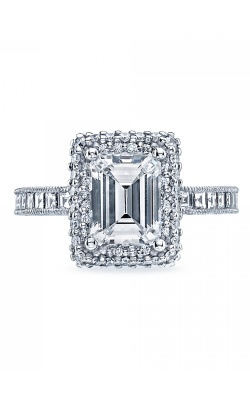 Golden Tree Jewellers in Langley, British Columbia carries the latest contemporary and vintage collections of emerald cut engagement rings for your loved one. 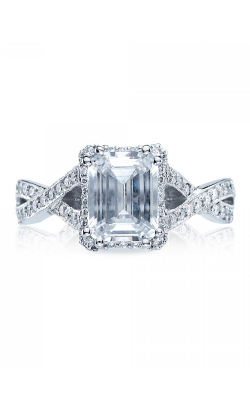 Explore handcrafted and exquisite emerald cut rings by world-class designers including Tacori, Michael M, and Noam Carver, Golden Tree Jewellers showroom is stocked with emerald cuts across a variety of metals, diamond shapes, and settings to fit any personal style. With an emphasis on the customer, Golden Tree Jewellers provides jewellery repair services including cleaning, polishing, replacement, upgrading, resizing, and many other repair services. Visit their showroom to experience an intimate and luxurious shopping experience.